You wake up one morning. Your eyes are hazy. Before you start your morning hygiene routine, you go to the kitchen to fill up the coffee maker. But what comes out of the tap looks like it may have already made its way through a filter of ground beans. Pipes, you’ve got some explaining to do. The first thing to figure out is if it’s actually rust. That pretty simple to do. 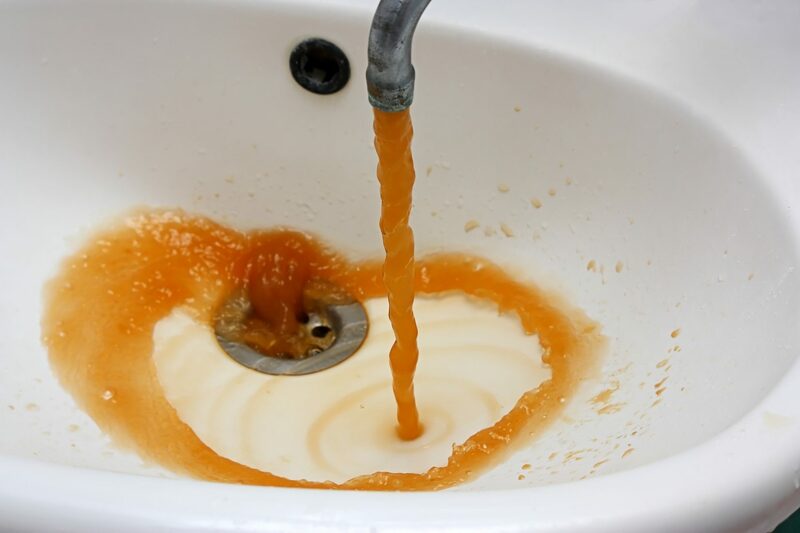 Rusty water has a distinctive metallic smell and a reddish brown colour. What causes the color is oxidized iron, and while it can stain porcelain, and make a mess, it’s not a health threat. Next, you need to figure out where it’s coming from. If all of your water, both hot and cold, turns brown, you may be the victim of a nearby water line break. That’s good news because when your municipality fixes the problem, your water goes back to normal. If it’s just your hot water, you may have a build of sediment or rust in your hot water tank. In this case, you want to drain and flush your tank to get rid of that build up. A full drain and flush of your hot water tank is recommended usually twice a year. 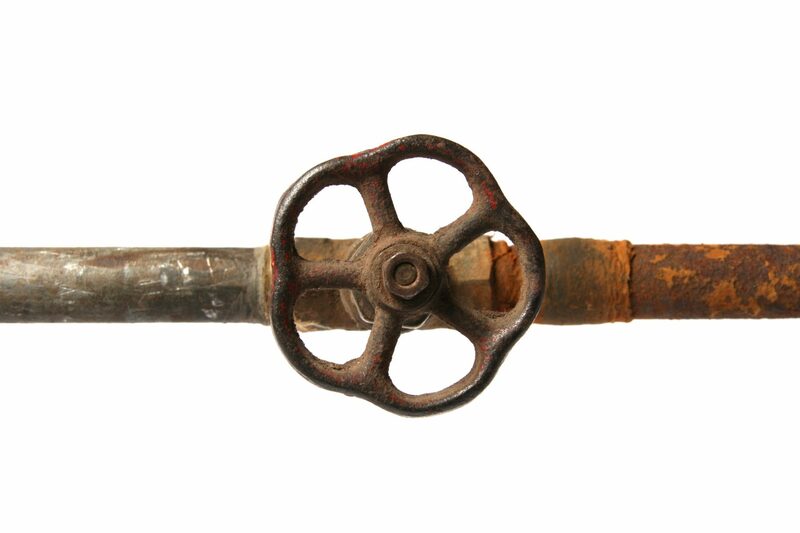 If it’s just your cold water, then the culprit is likely one particular supply pipe that has become rusted. Run the water for 20 minutes, or until it clears out. Sometimes a build-up of rust can dislodge, and that solves the problem. If after 20 minutes, the water is still rust colored, you may have a corroded pipe, and that means it’s time to fix it and replace it. If it comes to the point where the water remains rust-colored, and it’s not clearing up, call us. We’ll have one of our experienced plumbers over as quick as possible to get the job done! Questions about Residential Plumbing Services? Fill out the form below!